Pilgrim Lee's beautiful illustrations of a classic song provide the perfect holiday read for your child. 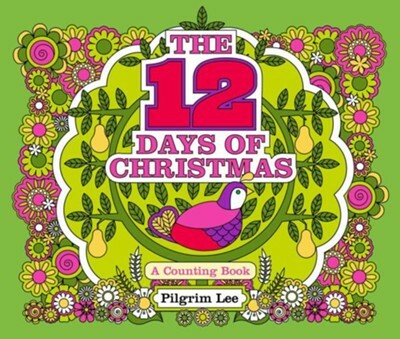 With a partidge in a pear tree on page one, two turtle doves on page two, and three French hens on page three, Pilgrim Lee's standout artwork, reminiscent of Pat Hutchins, is a beautiful take on the classic Christmas song that has always captivated children during the holiday season. Pilgrim Lee is an illustrator and graphic designer from Melbourne, Australia, where she runs an online print and paper goods store. Find out more about her at drawpilgrim.com. I'm the author/artist and I want to review 12 Days Of Christmas.